Who said you can't start your Total Effects in your 20's? The following morning I went into Boots and was on the hunt for something that would really benefit my skin. I usually use Nivea Daily Essentials - Light Moisturising Day Cream which you can get in Boots for £3/£4 (this is probably my most favourite moisturiser at this price point!) but I felt like picking up something a little different. 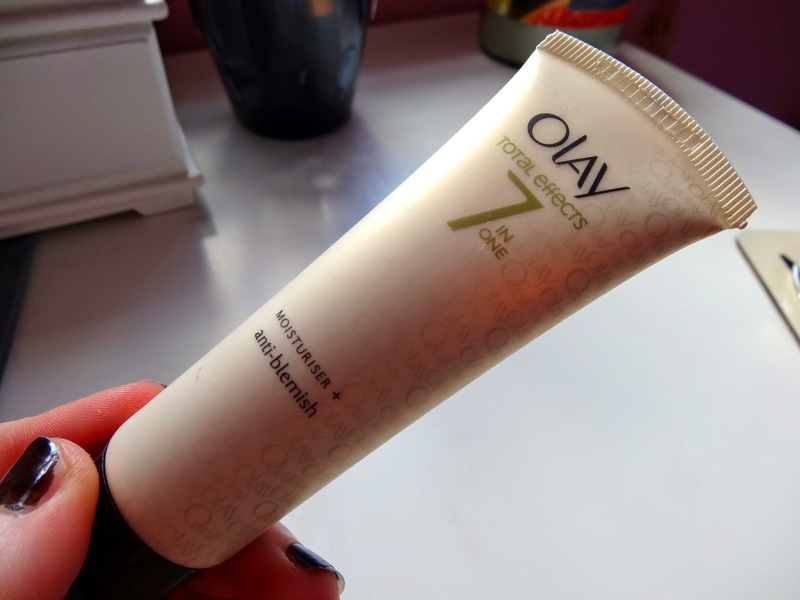 This is the Olay Total Effects 7 in One Moisturiser + (anti blemish) which I picked up for £14.99. The thing that stood out to me was the anti blemish part of this product. Out of the whole range this anti blemish moisturiser is aimed at skin in their 20's - okay, i'm 21 this year, i'm jumping on the band wagon early! It's such a perfectly light moisturiser, it does not feel like it's smothering my skin and will just slip and slide all over with my makeup on top. It soaks in so quickly! I love massaging my skin until its all soaked up, which doesn't even take long! Admittedly I have gone back for a second 'massage' with the product! I have normal skin, with a little shine to my forehead. I'd recommend this to normal/combi skin types!